Troubleshoot installation problems or ask questions the documentations doesn't cover. 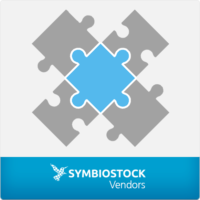 Discuss issues relating to using Symbiostock to sell your media. From technical questions to optimal usability, learn to make use of this powerful free tool to monetize your creativity. We offer a Symbiostock optimized hosting service catered specifically for microstock contributors. Ask questions related to our hosting service and how it can help you start selling immediately. Suggest and discuss features you hope to see added or changed. Images not processing? Here are the most common reasons.